Teaching Material . . .
Each image below includes a brief description in the caption. To learn more about the unit or to purchase an item, click on the image. You will be directed to my Teachers Pay Teachers store. If you like the style of my maps and would like me to create a map specifically to your needs, please contact me. Please check back often. I have lots of ideas on the go. 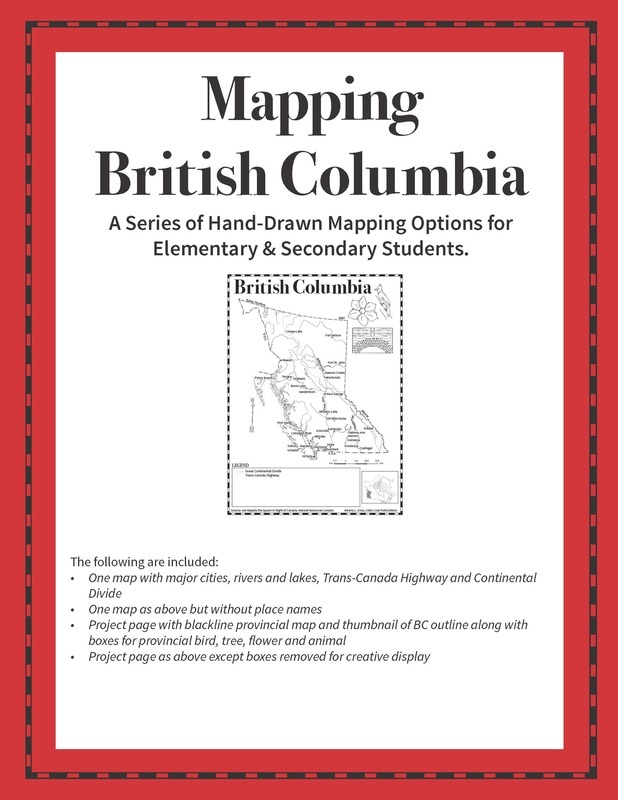 Mapping British Columbia - $2.00 This map includes several versions of BC. 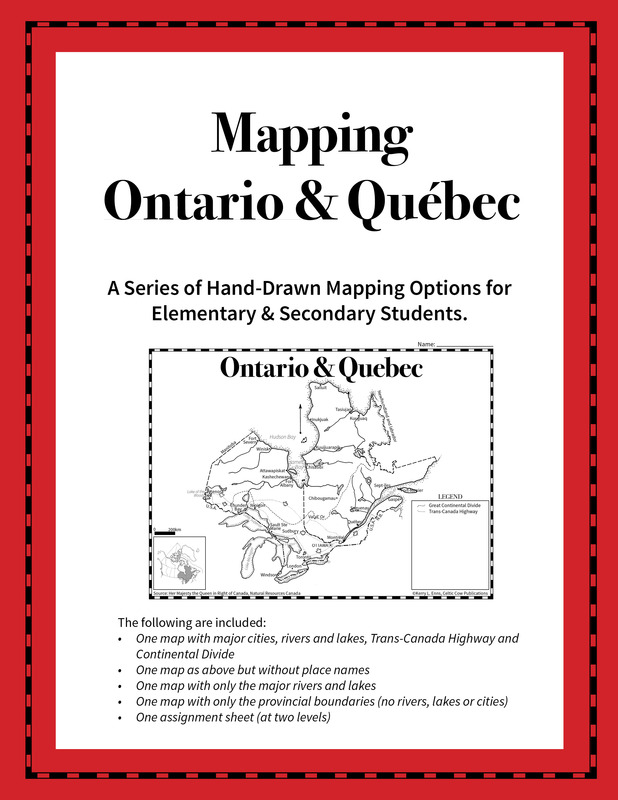 Pages are designed for researching provincial symbols, but the main map can be used for upper grades. 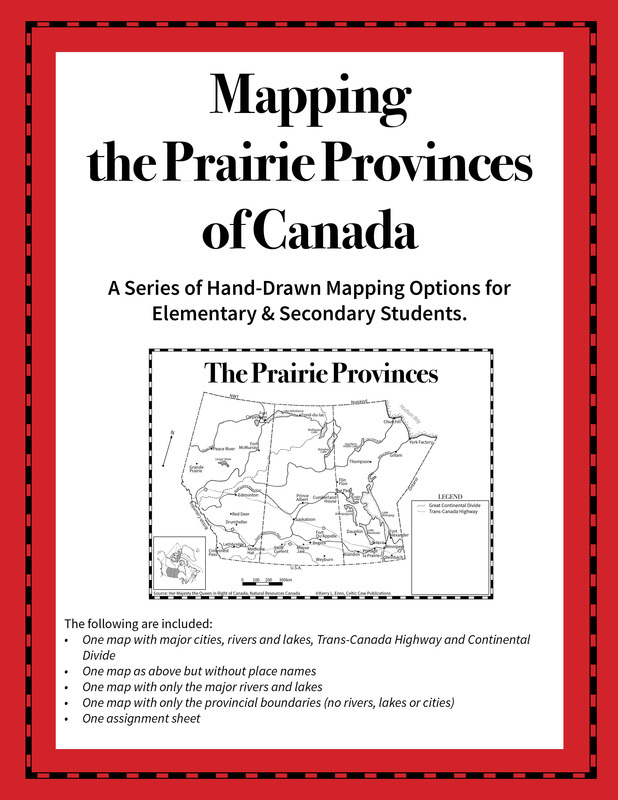 Prairies Provinces of Canada – $2.00 Various versions of the combined prairie provinces: Alberta, Saskatchewan, and Manitoba. Shows bodies of water and some major urban areas as well as the TransCanada highways and continental divides. 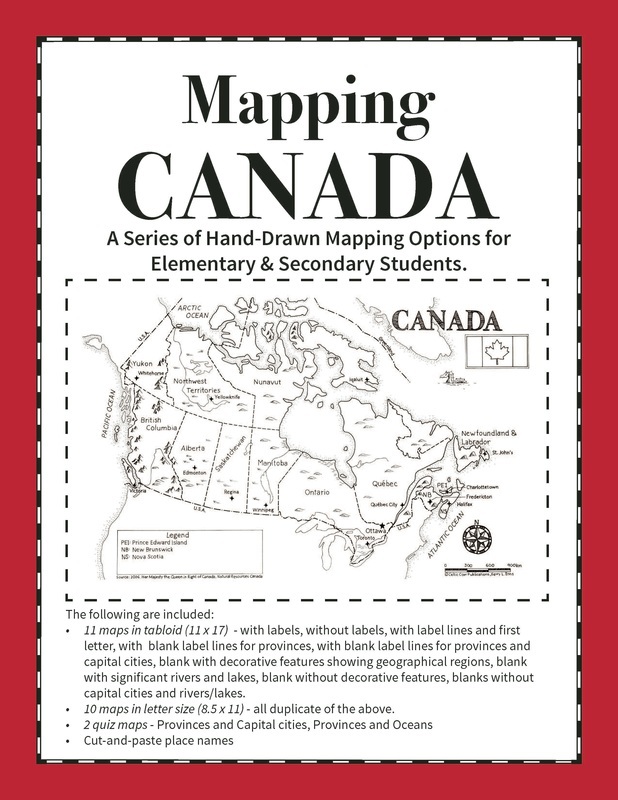 Mapping Canada - $6.00 This popular unit includes 23 maps of Canada in two different sizes. There are quizzes, cut-and-paste labels and suggested uses included in a 35 page document. Atlantic Canada includes four of the 10 provinces of Canada: Newfoundland & Labrador, Nova Scotia, New Brunswick and Prince Edward Island. 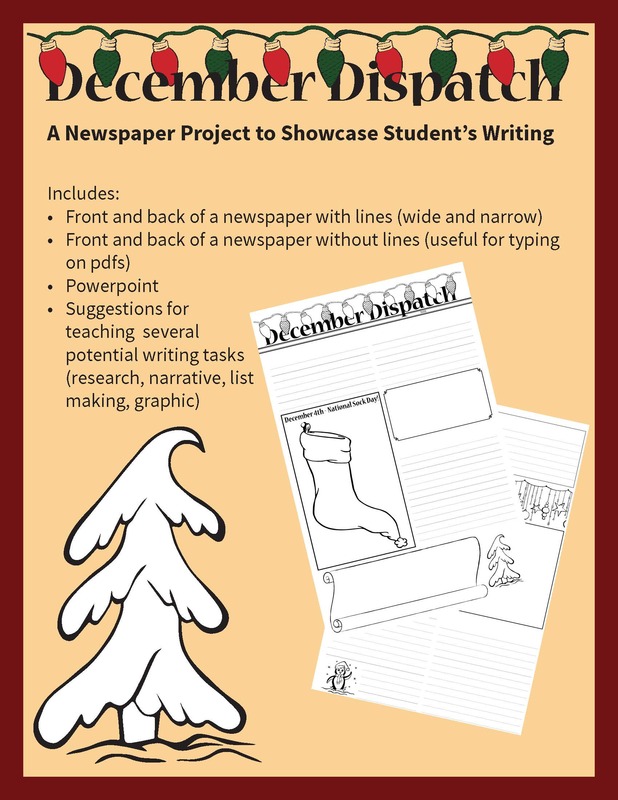 This package includes 4 maps and 2 assignment sheets in different levels. $2.00. 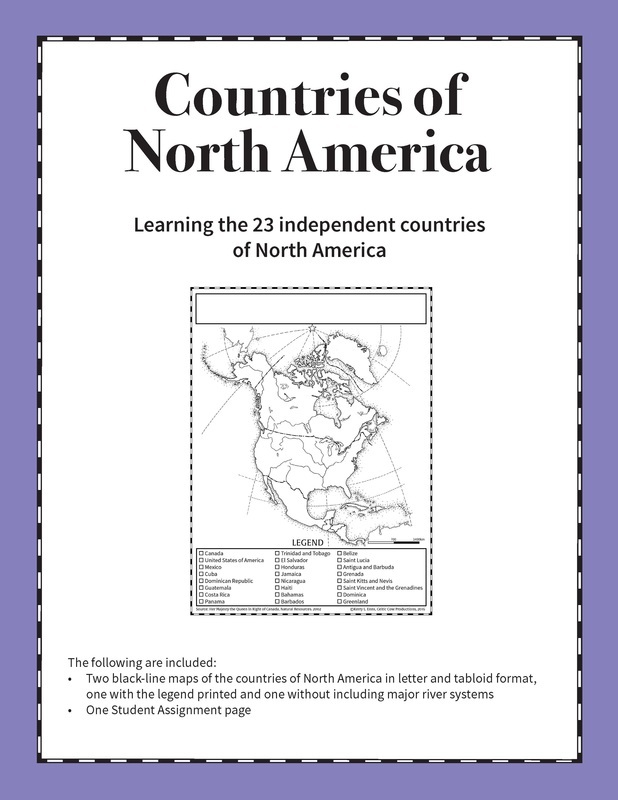 Countries of North America – $2.00 This map includes includes the country labels in the legend and major river systems of North America. 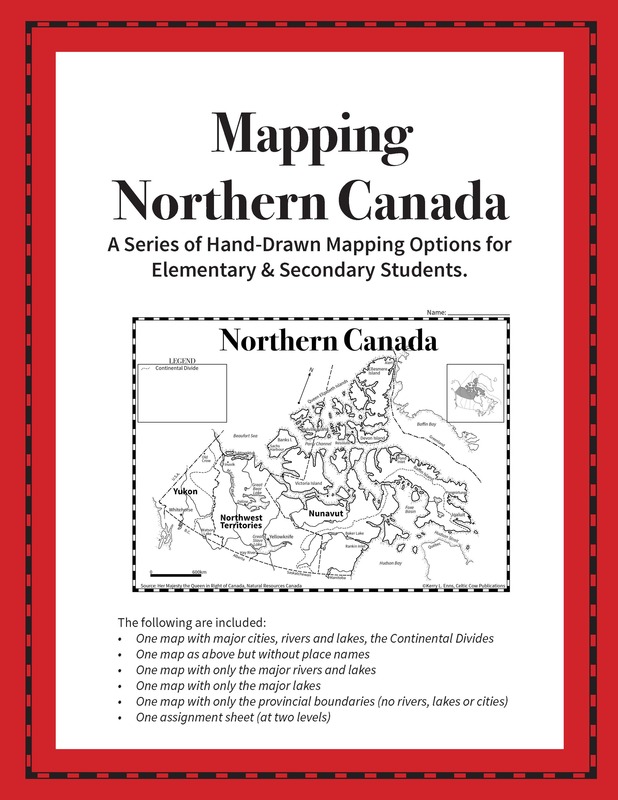 Cultural Areas of North America - $6.00 This is a mapping and reading unit that focusses on pre-European contact of the aboriginal people of North America. Reading is Grades 4-6 levels (or late Grade 3 with support). 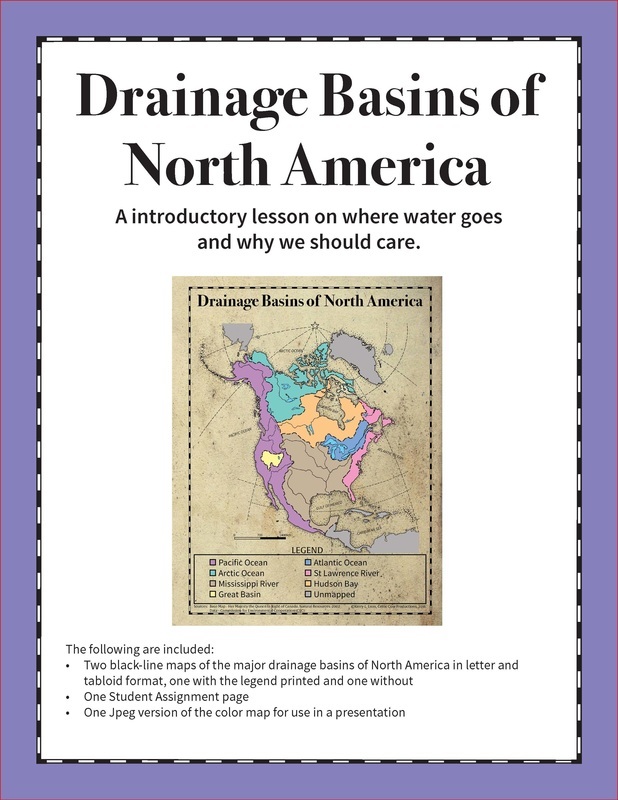 Drainage Basins of North America – $2.00 All water heads to the sea, almost. 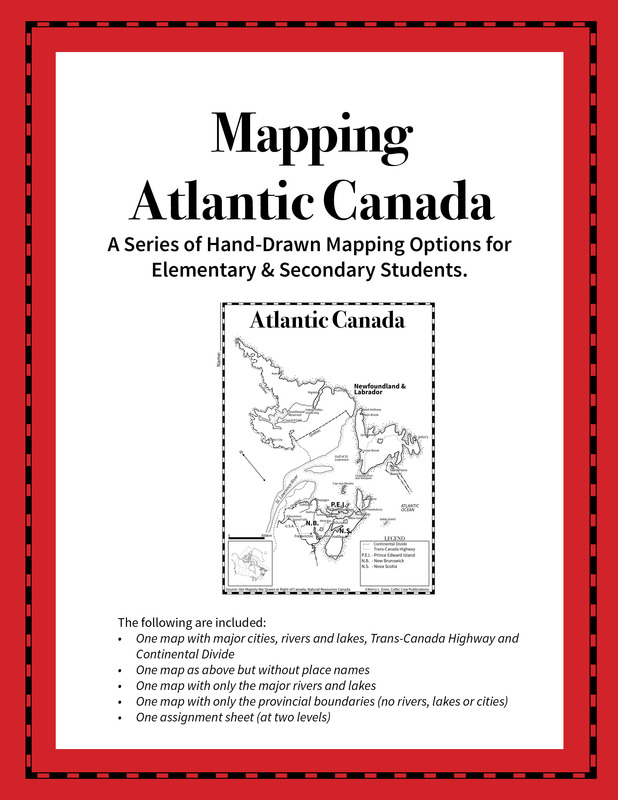 This map, which includes a colour jpeg, is intended for colouring so that students can understand the concept of drainage basins and watersheds. 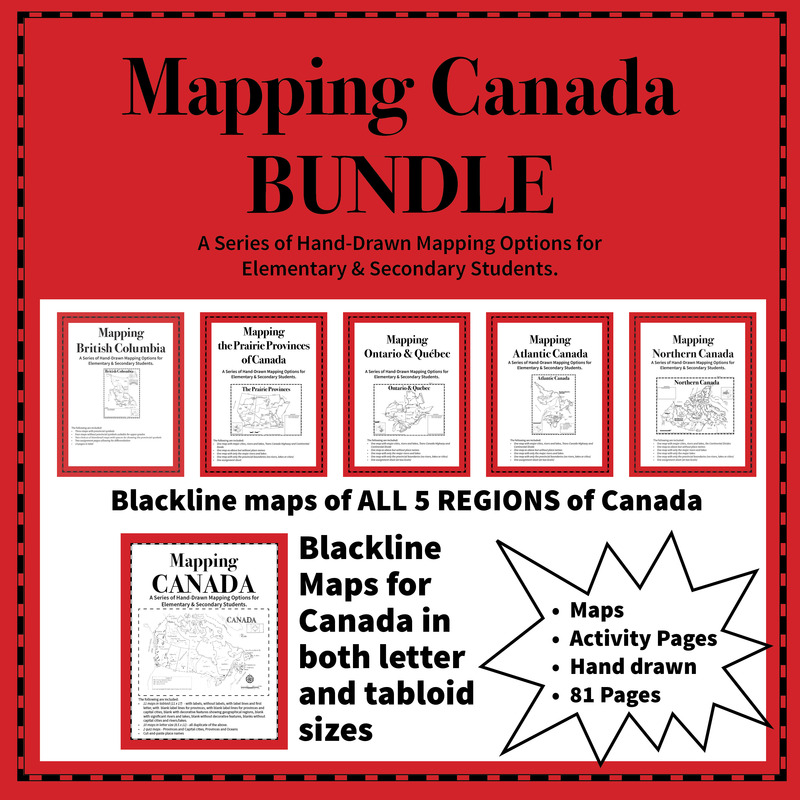 This BUNDLE includes the 5 regions of Canada as well as the Mapping Canada package. 81 pages and tons of maps for only $10. 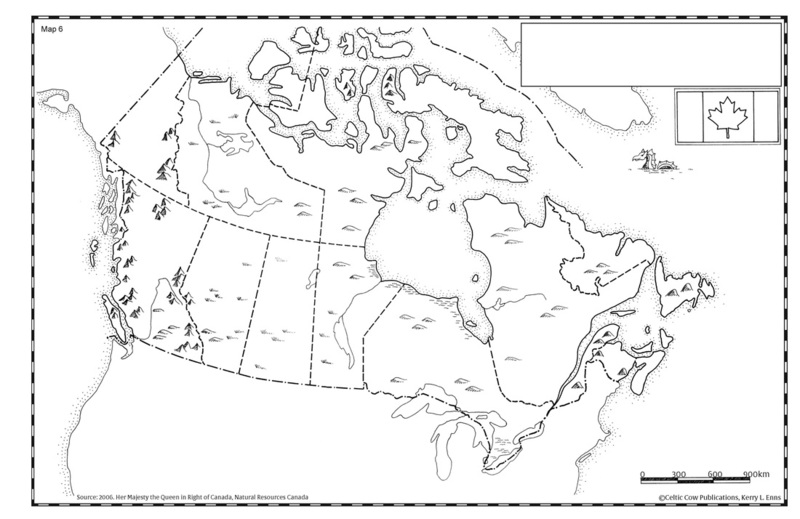 Canada w/ Terrain Symbols - $1.00 This is one of many single maps available. It is included in the Mapping Canada unit above. 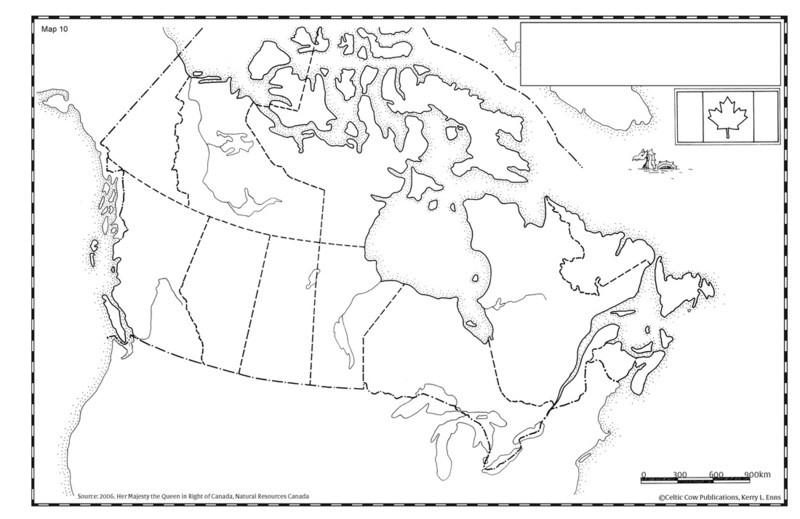 Canadian Provincial Borders - $1.00 This is one of many single maps of Canada that are included in the Mapping Canada unit above. 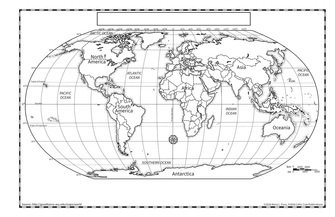 Political World Map – $4.00 Comes in three sizes (tabloid, legal and letter) with various versions of each as well as jpegs for use in presentations and Smartboards.